There are four cars in the synagogue parking lot in Evanston – mine being one of them. I do not want to be here. And I especially do not want to be here alone. I asked Pam to join me. Clover. Michael. Matt. All were unavailable. And then I stopped calling. I didn’t want just anyone to join me. So I am here, alone, on the one-year anniversary (according to the Hebrew calendar) of my birth mother’s death. The synagogue sent a letter reminding me of the date, 28 Iyyar, along with the words – in both English and Hebrew – to Kaddish, the prayer that accompanies the lighting of a yahrzeit candle, honoring the deceased. Her name will be read in synagogue, and I feel l should be here to hear it. I think she would like that – even though she wasn’t Jewish. I sit in the car a few minutes longer, re-reading flirtatious text messages my friend, Mr. Fashion, sent just before I left the house – trying to distract myself from my uncomfortable feelings about being here. It only half works. Eventually, I walk in and am greeted by both the rabbi and the cantor. Each is a touchstone in my life. And yet seeing them today does not shift my feelings. Twenty or so congregants are here for the Friday night service, but I sit alone. It is my choice. I feel awkward and angst-y. I keep my eyes cast down. I barely sing. I wonder how it is that I once thought I might be a rabbi. It seems unfathomable to me now, as it is all that I can do just to be here. And I again wonder why it is that I am here. Until the last moments of the service, when I am reminded. 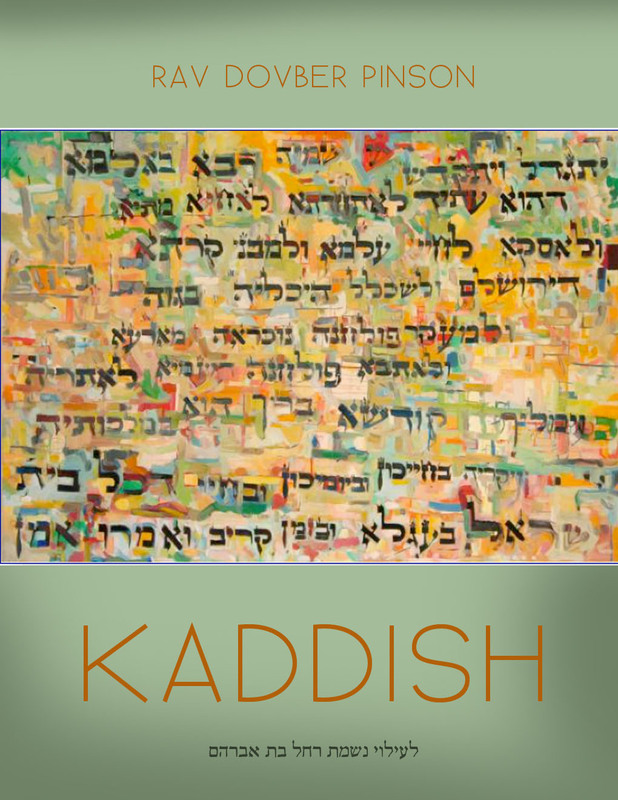 I am standing with my congregation saying Kaddish, the memorial prayer for the dead. The prayer praising God. The same prayer I read at home a few days ago when I lit a yahrzeit candle. The rabbi reads the names of those in the congregation who have passed in the past week, and of those who passed this week in years past. “Pharen Johnson, mother of Lesley Pearl.” My rabbi’s voice catches a little – I think. And without warning, my eyes are heavy and wet. My nose flares – hot. I feel a thud in my core, and then its energy rolling out in waves to my hands and feet. I am riding the currents. My heart is a surfboard. My belly flip-flops and then, more heat. The feeling is not unfamiliar. I occasionally experience it when I meditate. But I do not expect it here, now. And suddenly I know why I am here. I understand why we are called to go to synagogue in the days after death, and on the anniversary of it. Why it is not enough to light a candle and say a few words in my kitchen – alone. The synagogue gives me the space to grieve. The service, to consider it — which I have not done. I mentioned this to Pam the other day, on the actual anniversary of Pharen’s death. 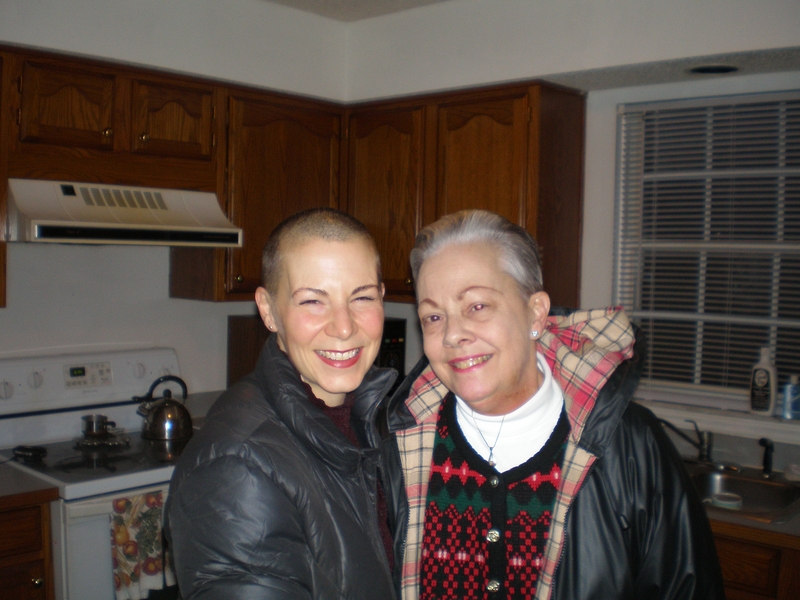 Me and my birthmom. Our first meeting. I tell her that after I lit the yahrzeit candle and said Kaddish – alone – I noticed my desire to call Mr. 700 Miles, the “man” who slipped out of my life without a word a little over two months ago. I remember him telling me he moved home to be with his mother when she was dying – 18 or so years ago. That he thought about her every day. That he wasn’t done learning the lessons she had to teach him. That she and I were kindred spirits. I think I should call him, because he knows what this is like. Even more so. But so do many of my other friends. I do not call him. Or them, either. Pam responds with a gentle, loving “duh,” and suggests that perhaps I nudged out my grief with incongruent affections for the Southern Svengali – another man who swept me off my feet. This time in Charleston, where my birth mother lived. While she was dying. I consider this. That it might be true. I couldn’t grieve. I didn’t have the space, the energy or the capacity for it. I hadn’t even grieved the end of my marriage. Or the life I knew for 15 years that I had driven away from in a 14-year-old Honda Civic just a few months prior. And I continued not to grieve it until only recently – slotting in affections with woefully unavailable men instead. I consider that I didn’t believe I was allowed to grieve. Finding my biological mother and father, and having relationships with them, was at times painful and disruptive to my family. Over the years I have tried to minimize that pain by minimizing how much I talk about them. About those relationships. And so, I did not much talk about my feelings with my family — or with anyone else — when my birth mom died. I talked about the Southern Svengali, and later Mr. 700 Miles, instead. A year later, these distractions have long since lost their efficacy. I cannot thread my sadness through another man. I need to be with it. And perhaps, for the first time ever, I do not want to run from it. Tonight I have a space and a ritual to honor this loss. By myself, and in community, all at once. And I understand why I am here. I text Mr. Fashion when I get home, like I promised I would. He asks if I would like to get together. I decline. I have no desire to distract myself from these feelings. I ask him for a rain check, which he graciously offers – along with the promise that he will hold me to it, and some other things that I will keep just for myself. I just smile and let myself feel it. All of it.